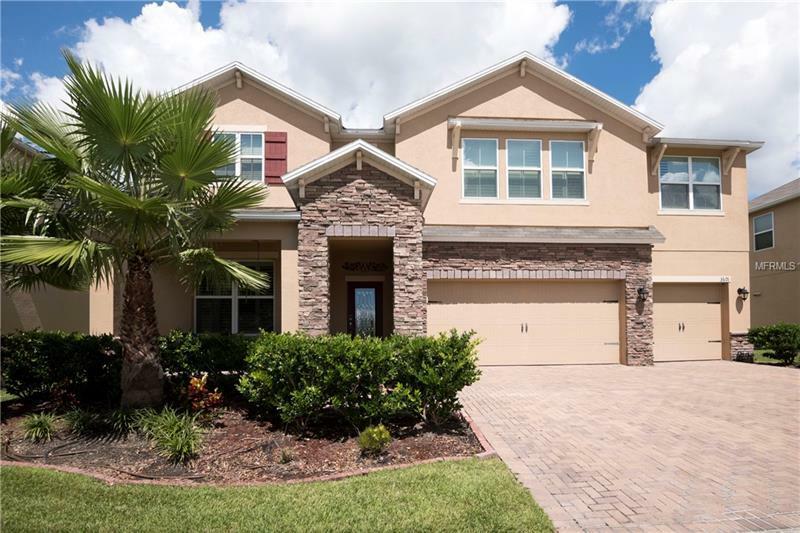 Beautiful 5 Bedrooms, 3.5 Bathrooms Home, Plus a Huge Loft in one of Kissimmee's Nicest Communities The Preserve at Tapestry. Gorgeous Open Concept with Gourmet integrated Kitchen with Double Ovens, Granite Counters, Stylish Dark Chocolate Cabinetry, STAINLESS STEEL Appliances, Recessed lighting, Butler Pantry and more. Amazing Living Room Combination Floor Plan, Loaded with Upgrades, Plantation Shutters thru of the House, Dark Cherry Laminated Wood floors Upstairs, SHOWS LIKE A MODEL! Spacious Island Provide Extra seating and the Seating space just off the Kitchen Features Sliding doors that lead onto the Extended Lanai that Overlooks the Huge Fenced Backyard perfect for Dogs Lovers or a Pool that can be added for your Private Oasis. Great LOCATION!! Minutes Away from local Shops, Attractions, Adjacent to " The Loop" an outdoor Mall with Plenty of Shopping, Restaurants and Movie Theater. Efficient Energy Home providing Savings with Low Utility Bills. Do Not miss the chance to see this Home! Motivated Seller! Bring Offer! Agent related to owner.